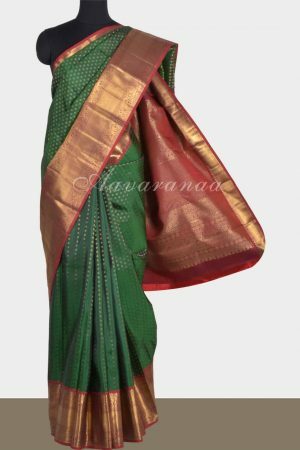 Bottle green kancheepuram silk saree with zari buttis woven closely on the body ,with a contrasting maroon border. 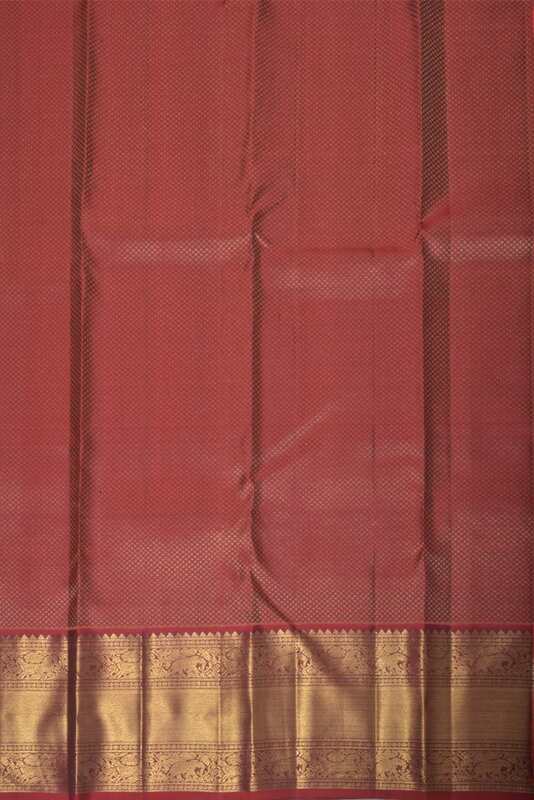 The border woven with pure zari is short on one side and taller on the other. The pallu is woven with zari.